Salt and pepper seasoned fancy whole cashews and shelled pistachios. 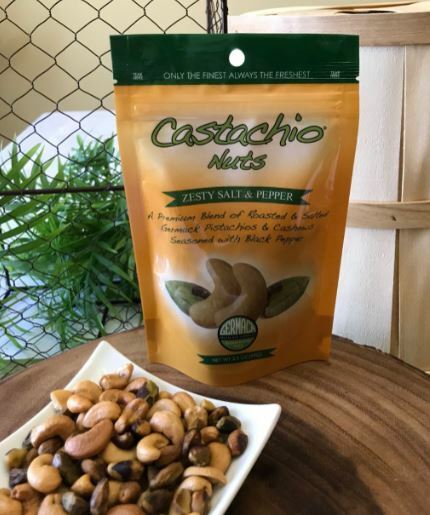 We roast and season the fancy cashews and shelled pistachios in pure canola oil to create this bold nut blend. This nut blend comes in our re-sealable zip lock stand up pouch.